Fast forward a year and I’ve become a lot more serious about blogging. I’m more mindful of what I need to do. I’ve honestly learned so much over the past couple of weeks and I can definitely tell the difference in my blog statistics (click here to see how I increased my monthly views by 1000% in only 10 days). Let’s begin with what I did wrong. When I first started my blog I created new accounts for Instagram and Twitter instead of converting my personal accounts into business accounts. I neglected to consistently work on my following so both accounts had a small amount of followers. So, even though I was promoting my posts sometimes, they weren’t reaching a lot of people. I didn’t try to increase my followers either. I recently found out that Pinterest isn’t just some social media platform where you pin images relating to weddings, or find DIY crafts and recipes (gasp). I’ve learned that Pinterest is considered a search engine; it actually ranks second to Google! But, that makes sense doesn’t it? We enter keywords into the search bar and sift through, and sometimes pin, the results. Pinterest is an amazing tool for bloggers if used correctly!! I received guidance from McKinzie from Moms Make Cents. I enrolled in her free course called Pinterest Primer and received step by step instructions on how to get the best results from Pinterest. You can check out the free course here. I go into more detail about Pinterest Primer in this post. Now that I’m using Pinterest my followers and monthly page views have increased significantly. I also utilize one of the best scheduling tools called Tailwind to schedule and post my pins. On Sunday’s I usually set aside some time to schedule pins for about a week. I still manually post because I enjoy pinning and looking through Pinterest but it’s made my life a lot easier! You can try Tailwind, they have a trial period with no obligation to give them a credit card. You get 100 pins in the trial and after you schedule that many pins you have the option to buy or move on. When I first started my blog I used regular ” smegular” pictures, some of them were photos I’d taken on my iphone (cringe), which was horrible since I am not a professional photographer. Now the graphics that I use for my blog look more professional and “social media ready.” I have to thank Pinterest Primer for all of the tips that I received. It included specific steps to make your blog graphics “pin-able” and even how to make them go viral on Pinterest! Pinterest Primer introduced me to Canva and let me tell you, it’s been a godsend! It contains thousands of images in different formats that can be used for all types of social media, logos, etc. I can easily open the app, choose a template, and design a high quality blog image in less than 5 minutes. I’m very grateful to have been introduced to this app. 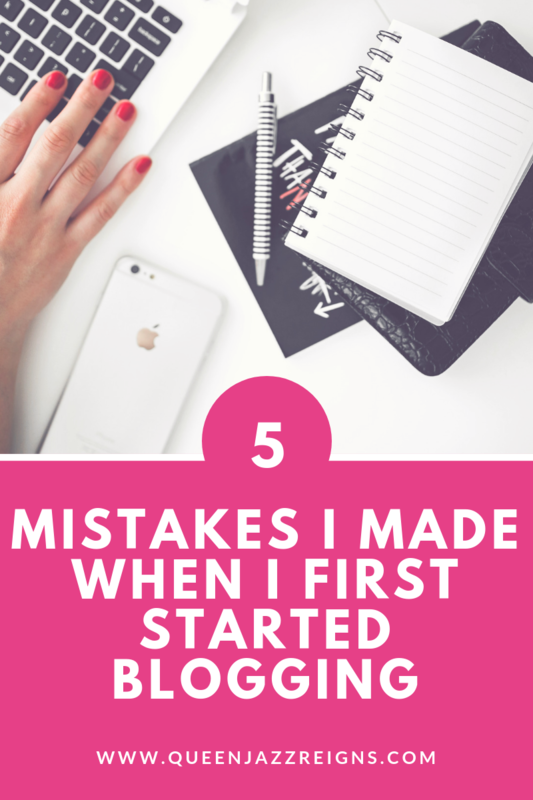 As I mentioned earlier, I had no clue what I was doing when I began my blogging journey. I was just winging it. While I still consider myself a beginner blogger, I now know what my end game is. I eventually want to be able to leave my 9-5 job and possibly stay home with my baby. (I don’t know if I’ll actually stay home though). I want to be flexible and work from anywhere. I want to be debt free and financially independent. I want to be able to support my family. I honestly believe that I can do this and I’ve read so many success stories. I must admit I’m motivated but, scared at the same time. It’s definitely going to take some time and hard work to make it happen. And it has been an uphill journey since then. I never would have thought that I could design my own website let alone have my own website. I’m so glad I made the decision to invest in my blog. I honestly believe I will recoup the funds and in time, make money. I’m determined to retire early so that I can focus on the things that I really love. Have you started a blog or are you considering starting one? Is something stopping you from obtaining one of your goals? Leave a comment and let me know.